Domett Lodge is a great opportunity for a hunting group, walkers, horse riders, mountain bikers, off road motorbikers, or anyone just wanting to enjoy being in the back country. 20 minutes drive from Domett Road by 4WD vehicle, transportation available on request at an extra cost of $50 for a return trip. Takes around 1 hour to walk or by horseback. Fantastic views from the top of the saddle looking down into the Waitaki Valley and the Haka Valley. As you can see by our photos Domett Lodge is located in a relatively remote location - feels like your in the middle of nowhere! If you enjoy sitting under the stars in front of a camp fire with the sound of the river in the background, then you will love it here! And now you can enjoy watching the stars from a hot bath with the new addition of two baths heated by gas cookers! Farms tours by 4WD are available on request at an extra cost, and on availability of the property owner. Domett Lodge is completely off grid, no electricity. Although there is solar lights and a gas operated hot shower and hot water for the sink. And very importantly a flush toilet! During winter the hut can be cold, but with the log burner roaring the hut heats up quite nicely. The conditions of the farm track as access to the hut can vary, after rainfall the ground can be slippery and a 4WD vehicle is a must in any weather conditions, or a quad bike/sidebyside/2wheeler for reachng further heights. 4 x 4 driving experience is essential! Sometimes over the winter we close off the hut as it can be very cold and the water pipes freeze so there is no running water. It is recommended to bring warm sleeping bags. - Stay at Domett Lodge is subject to weather conditions, and therefore the condition of the farm track to Domett Lodge can vary, but a 4 wheel drive vehicle is a must in all weather condition. Rustic corrugated iron hut, with basic facilities, but a 4450 farm exclusively to yourself! Fitted sheet and pillow cases provided. You must bring sleeping bag or duvet etc. 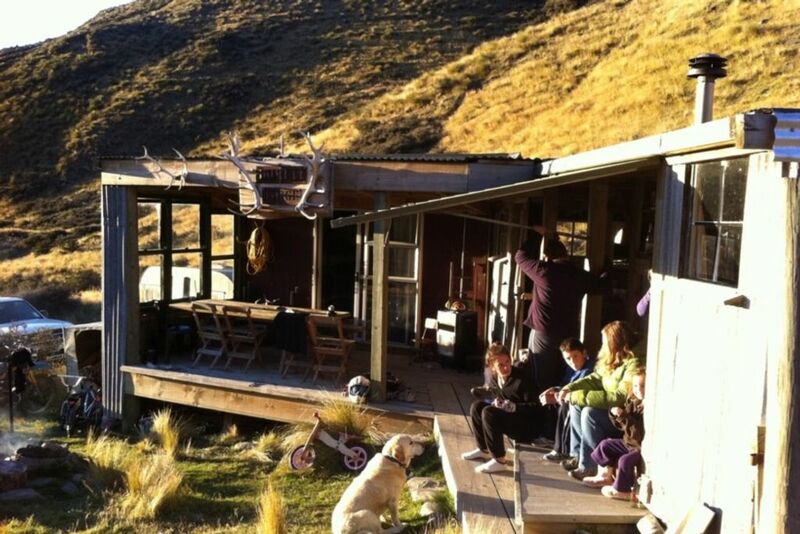 Great tracks for the real 4x4 owner.rodent free oposum friendly hut with hot and cold running water and flushing loo.what more could a back country hut offer the true outdoors person.friendly family owners, and great tracks that are easily driveable.Has ensuit with second access also.room for the whole family and the dog. Thank you for a fab weekend, great people to work with..
Had another great stay, fantastic rustic accomodation. Every time I go back there are more small improvements. Loved the swimming hole in the river ! Love going off the beaten track and staying in remote huts but usually we don’t pay as much as we did for one. (We paid for 6 guests) Happy to do it this time because it was big enough to sleep a few of us, but unfortunately there was bed bugs. I understand its in the middle of nowhere etc but bed bugs are next level and unfortunately the owner didn’t seem fased when we told her. All in all loved our stay but when you’re paying that much it Would be nice to have no bed bugs. Awesome hut, love it there!